NSL Consolidated (ASX:NSL) expects a crucial beneficiation plant to be commissioned in the second quarter next year after it secured the cash needed to purchase the plant in China. The India-focused iron ore miner has a $5 million loan facility with New York-based MG Partners II Limited, and as part of that facility NSL has elected to draw down $1.3 million. It still has a further $600,000 left as part of the facility after the latest drawdown. The $1.3 million will be held in escrow with the Chinese manufacturers of the plant, pending a final inspection ahead of shipping to India. The phase two beneficiation plant is being designed as a pre-fabricated ‘wet’ plant, which will allow NSL to bring low grade iron-ore up to grades between 58% to 62%. 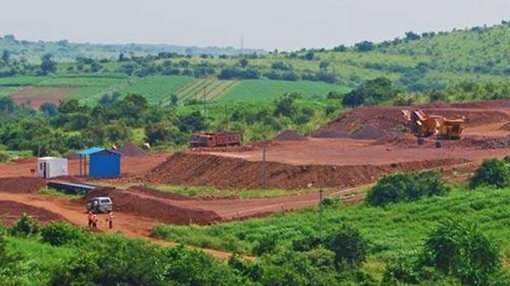 NSL Consolidated is the only Australian miner to own and operate in the Indian iron ore market. It is set up in the Andhra Pradesh region where it uses beneficiation processes to bring low-grade ore up to a saleable grade. It has a two phase plant strategy in place, taking ore from mining licenses in the region. A phase one plant is slated to have an ultimate throughout capacity of 680,000 tonnes per year, feeding 20-25% grade ore and putting it through the beneficiation process to convert it to 50-55% grade ore.
Output is slated at about 200,000tpa. Meanwhile, phase two is being planned as a wet beneficiation plant capable of producing 200,000tpa with a grade of 58-62%.